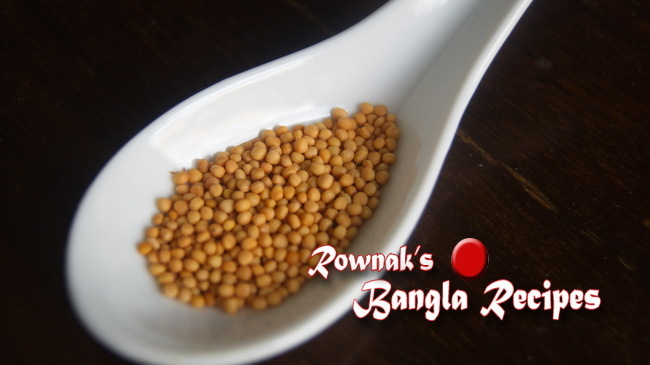 I cannot tell how many times I am requested for this recipe(strangely I found that they(requesters) left Bangladesh about at least 40 years ago or 1st or 2nd generation Bangladeshi born in overseas). 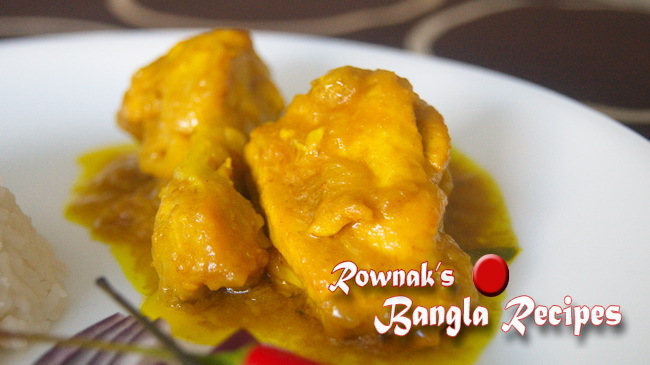 So you can understand that Goalondo Chicken Curry / Steamer Curry will be very traditional Bangladeshi recipe. 40 years ago mustard oil was the only cooking oil (though there was few use of coconut oil which wasn’t very popular). And freshness of spices and uniqueness of fewer ingredients are main motto in this recipe. Please don’t cook it if you don’t have fresh ginger, garlic or chillies. 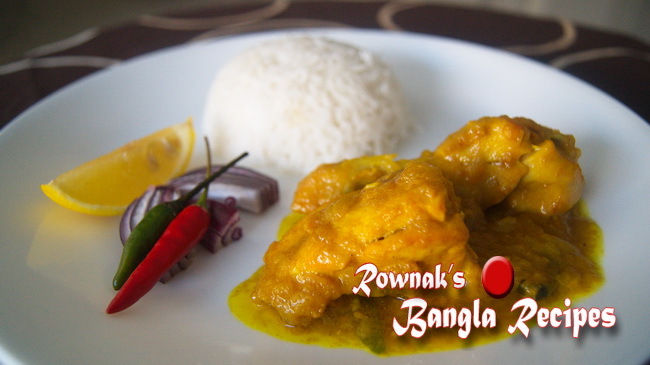 Goalondo Chicken Curry / Steamer Curry was originated by the boatmen of “Goalondo-Narayanganj” steamers in pre-partition India (Bangladesh, India and Pakistan). 1. Skin off the chicken and cut into 12 pieces. Clean, wash and pat dry it. 2. 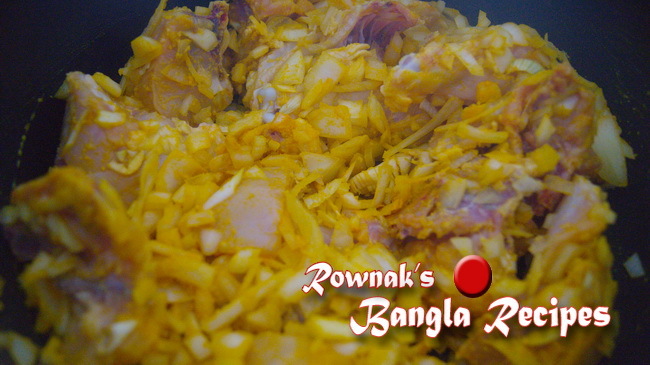 Mix the chicken in cooking pan with garlic, ginger, onion and turmeric; keep it aside at least for half hour. 3. Add oil and cook over medium heat for 5 minutes. 4. Add green chillies and salt and cook it under closed lid about 30 minutes till the chicken is tender. Check the salt and remove from heat. 5. Serve Goalondo Chicken Curry / Steamer Curry with fresh hot rice. 1. There is no use of water in this recipe. 2. Ginger, garlic, green chillies need to be fresh. Its simply taste of heaven . You will just love it. Your food is as beautiful as you! Thnku you very much Borna for sending Goalondo Chicken Curry / Steamer curry the years long test that I remember when the steamr survices were running from Goalondo Ghat to Narayngunj Ghat on way to Dacca/Dhaka and some other routes. I cnnot forget the various testy dishes specially from Fresh Ilish Fishes and some other fishes at the hut hotels beside the banks of river that I used to eat while on tour. You riminded me of those days sending this special receipe of old days dish. Thanks once again and I hope that you will continue your efforts of introducing old and new receipes. Mam it sounds so tasty so after cooking it it will be more tasty, thnaks somuch for remembering me and sending me these lovely recipe. thanks once again. I have tried the recipe and everyone of my home likes it . Thank you so much for the recipe. I made it for dinner today and it turned out really well. Lovely balance of spicy and savoury. One question though: should the onions cook down completely to a melted texture? Thanks Eaqub . I checked your blog and loved it. You need to cook it under closed lid which will melted onion texture. you can see that buttery texture of onion in the photo. Thanks again. How do you make the ginger paste without water? Also, How do you was the chicken without water? you can add little bit water if need .